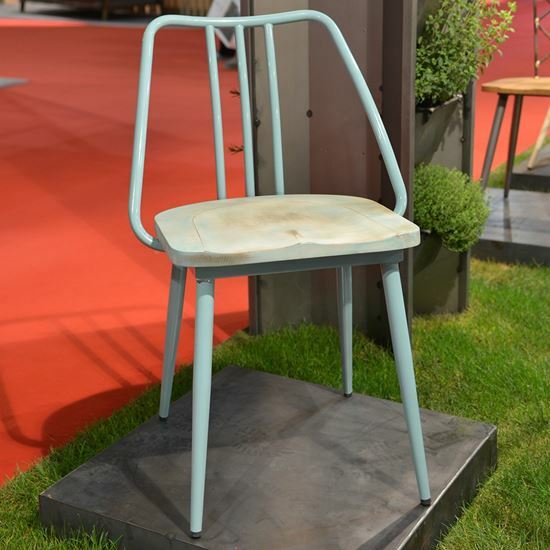 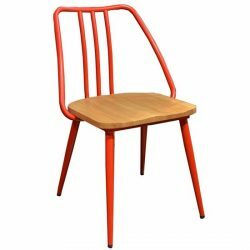 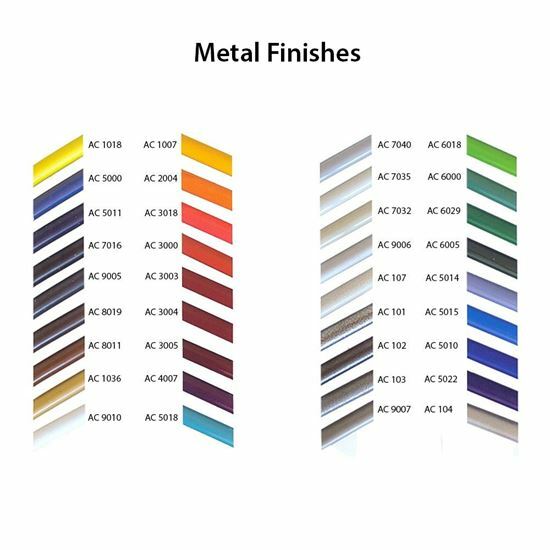 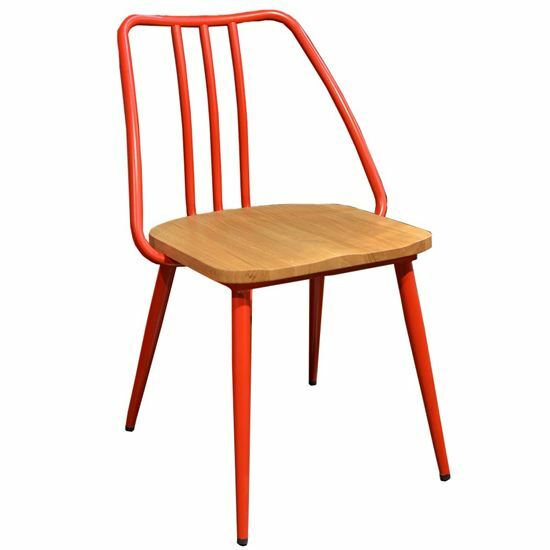 The Tempest Side Chair is a Powder Coated steel frame. 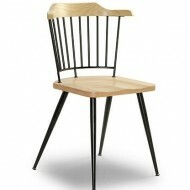 Seat able to be in Beech, upholstered or a Vintage wooden finish. 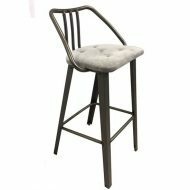 Upholstery in any fabric or Leather.